CALIENT Technologies' S320 optical circuit switch (OCS) will play a key connectivity role in SCinet, the “world’s fastest network" at next week's SC18 International Conference for High Performance Computing, Networking and Storage in Dallas. The 320-port S320 OCS will be used to create an optical overlay network connecting core routers from Juniper and Cisco with optical transport systems from Juniper, Ciena and Infinera, using 100GbE connections. Any connection from the core routers can be switched to any port on the optical transport systems without re-fibering. With support for up to 400GbE and less than 30ns of latency per port, the use of the S320 adds significant connectivity flexibility without impacting network throughput or latency. Network test equipment from Spirent, Ixia, Viavi, and Exfo was also connected to the S320 to create a fiber-once test infrastructure, allowing network operators to remotely and dynamically switch a test set to any router or optical transport system port when needed. Network engineers made use of this flexibility to configure and test network connections during set up and it will also be used to assist with troubleshooting equipment and optical links while the network is operational. CALIENT Technologies introduced its Edge|640 Optical Circuit Switch (OCS) with 640 fiber-optic cross connections – up to twice the capacity of its current S320 OCS product. CALIENT uses 3D microelectrical machine (MEMS) optical mirror technology to create protocol agnostic optical connections between ports at speeds up to 400 Gbps. The all-optical nature of the switch results in very low latency connections. The switch features built-in optical signal power monitoring on each link and features low power consumption of 90 Watts typical. 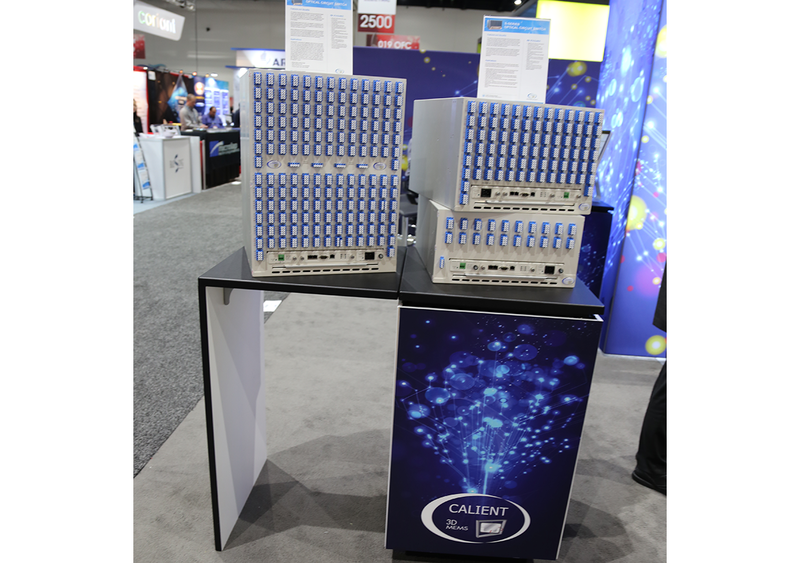 CALIENT said its new Edge|640 is organized into two switching groups of 320 ports each. Devices connected to a switch port on one of the switch groups can be connected to a device on any of the ports in the other switch group. This connectivity is ideal for “wire-once” network applications or for testing applications where devices under test need access to a range of test systems. CALIENT acquired by Suzhou Chunxing Precision Mechanical Co.
Suzhou Chunxing Precision Mechanical Co., Ltd. has agreed to acquire a controlling stake in CALIENT Technologies, a supplier of optical switching solutions based on proprietary 3D microelectromechanical systems (MEMS) technology. Financial terms were not disclosed. CALIENT is based in Goleta, California (near Santa Barbara). CALIENT’s S-Series Optical Circuit Switches are used in data center, compute cluster and communication service provider applications. The company will continue to operate from its Goleta, CA, headquarters under the CALIENT brand. CALIENT’s enabling technology is a three-dimensional array of silicon micro mirrors that are used to switch up to 320 incoming fiber optic signals from any port to any output port. CALIENT Technologies introduced its LightConnect Fabric Manager interconnect orchestration software for its S-Series family of Optical Circuit Switches (OCS) for intra-data center connectivity . The LightConnect orchestration software creates an optical fabric that allows racks or rows of compute resources to be shared between physical Pods across the data center to accommodate varying workload demands. To enable the OCS-Powered LightConnect Fabric, CALIENT is announcing the new LightConnect Fabric Manager. Core functions of the Fabric Manager include a topology manager and a cross-connect manager. The topology manager maintains a database of the data center network topology including which layer 2/3 switches and ports are connected to specific optical ports on the LightConnect Fabric. Similarly, the cross-connect manager maintains a complete database of all optical cross connects in the LightConnect Fabric. Together, these two core functions and their databases allow the Fabric Manager to maintain a complete view of overall topology and optical connectivity in the data center. CALIENT Technologies introduced a software controller to facilitate dynamic reconfiguration of the optical network layer to handle the "elephant flows" typically caused by data replications, storage migrations, and movements of big data sets in Hadoop distributed file systems. These elephant flows can overflow buffers on conventional packet switches. CALIENT said its new Optical Topology Management Controller, which built using the OpenDayLight framework, allows efficient optical topologies to be built on demand, optimizing access to compute and storage nodes to achieve maximum utilization of these critical resources. It also lays the foundation for hybrid network fabrics in which CALIENT’s S-Series optical circuit switches augment third-party packet-based networks. With the addition of traffic analysis and traffic engineering capabilities (planned for early 2015), the controller will support the full hybrid packet-optical network, in which the optical layer is reconfigured dynamically to create optical “express” paths that offload highly persistent traffic flows from the L2/3 packet network. The new CALIENT controller will be used in conjunction with the company’s S-Series family of optical circuit switches. The S320 flagship is a 320-port optical circuit switch used to create an all-optical network fabric with total throughput of more than 32 terabits per second. The switch allows any-to-any, layer one network connections with almost no latency and can be reconfigured on demand under software control. Each switch port is transparent to bit rate and can support data speeds to 100 Gbps and beyond. CALIENT Technologies announced a new plugin for the OpenDayLight (ODL) platform for providing programmatic control of it S-Series optical circuit switches. This builds on CALIENT’s existing support for the OpenFlow API by extending the OpenFlow protocol to support circuit switching. CALIENT's hybrid packet-optical platform adds an optical circuit switch to packet-based data center networks specifically to handle offloading of persistent data flows through express optical-layer paths. The company said its new OpenDayLight plugin will allow applications and external controllers using the ODL framework to control CALIENT’s S-Series switches via standard published OpenDayLight REST APIs, thus simplifying deployment in software defined data center networks. In a future release, CALIENT will add a circuit manager to OpenDayLight. Circuit manager is a service with northbound REST APIs that interfaces with external orchestration engines/controllers that may want to manage CALIENT’s S-series switch as part of their native application. CALIENT Technologies announced preliminary interoperability testing results of its newly available OpenFlow software-defined networking (SDN) application programming interface (API) for its S320 optical circuit switch. In testing by Tallac Networks, using the testing facilities of the InCNTRE lab at Indiana University, the S320 OpenFlow API provided a base level of interoperability with several industry leading commercial SDN controllers. Similar compatibility was achieved with the Floodlight open-source controller that featured CALIENT-developed S320 extensions. CALIENT said equipment operators using these controllers were able to dynamically discover and initiate connections through the switch and instigate a real-time view of the network topology. Operators also were able to define paths through the switch based on end-point addresses for easy network configuration. 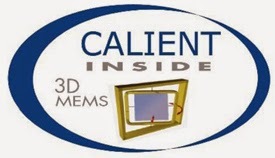 CALIENT Technologies announced a $27 million round of venture financing for its optical switching technology, which is based on its patented deep-silicon plasma etch process that is used to make 3D MEMS mirrors. Calient's 320-port (full duplex) S320 is a MEMS-based optical switch that connects top-of-rack switches in a data center. The OpenFlow API runs on the S320’s MEMS Switching Module (MSM), a high-availability switching and control subsystem with redundant control processors and a Linux-based operating system. The funding came from a combination of new and existing investors, and will be used to enhance tCALIENT’s portfolio of 3D MEMS Optical Circuit Switching systems, extend its IP portfolio and provide working capital for its rapid production growth driven by new applications in software defined datacenter networking. The company also named Jag Setlur, a 20-year finance professional, as its Chief Financial Officer (CFO). "This round of financing will support the exciting opportunities ahead at CALIENT as we work to meet rapidly growing demands for Optical Circuit Switching in software-defined datacenters and metro networks,” said Atiq Raza, CALIENT's CEO. "With this funding and our recent growth, I believe now is the time for an experienced CFO like Jag to join the senior management team. I am pleased to have him on board and look forward to leveraging his expertise as we continue to develop and optimize the CALIENT product portfolio and expand our market footprint." CALIENT Technologies introduced a new 320-port photonic switch designed for data center applications. The new switch leverages the company's patented 3D microelectromechanical systems (MEMS) switching technology, can be used to create a scalable, flexible, switched network fabric, with total throughput of 3.2 TB that connects top-of-rack switches and core routers. CALIENT’s enabling technology is a three-dimensional array of silicon micro mirrors that are used to switch up to 320 incoming fiber optic signals from any port to any output port. The module delivers switching speed of less than 25 milliseconds, and offers redundant control processors and high availability Linux OS carrier-grade OS. At OFC/NFOEC, CALIENT is showing the S320 for the first time.